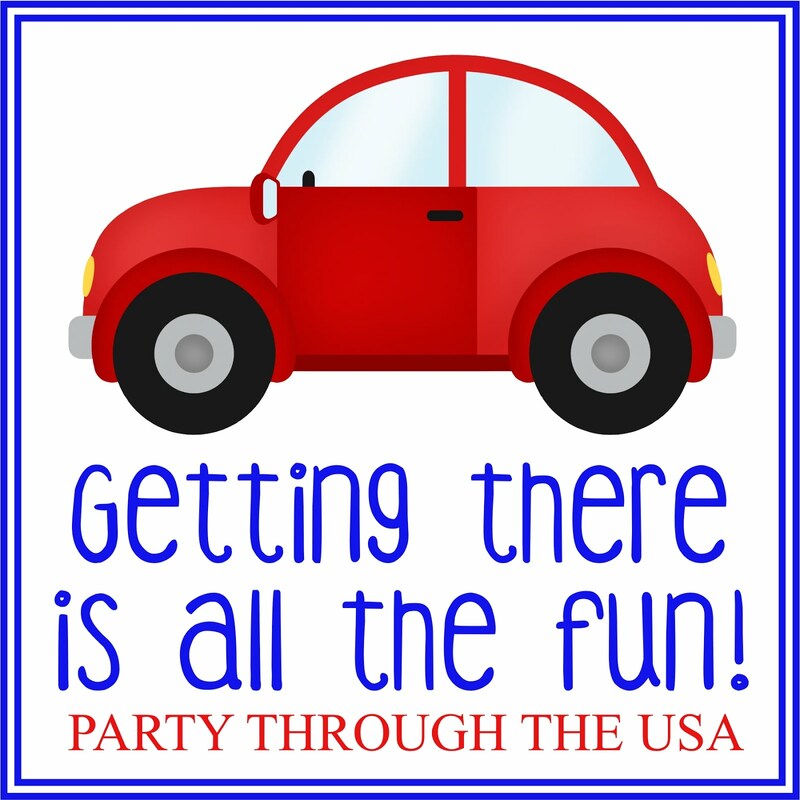 It's travel season, which means lots of time stuck in an plane, train, or automobile. When you have sensory-sensitive kids, travel time can be challenging. 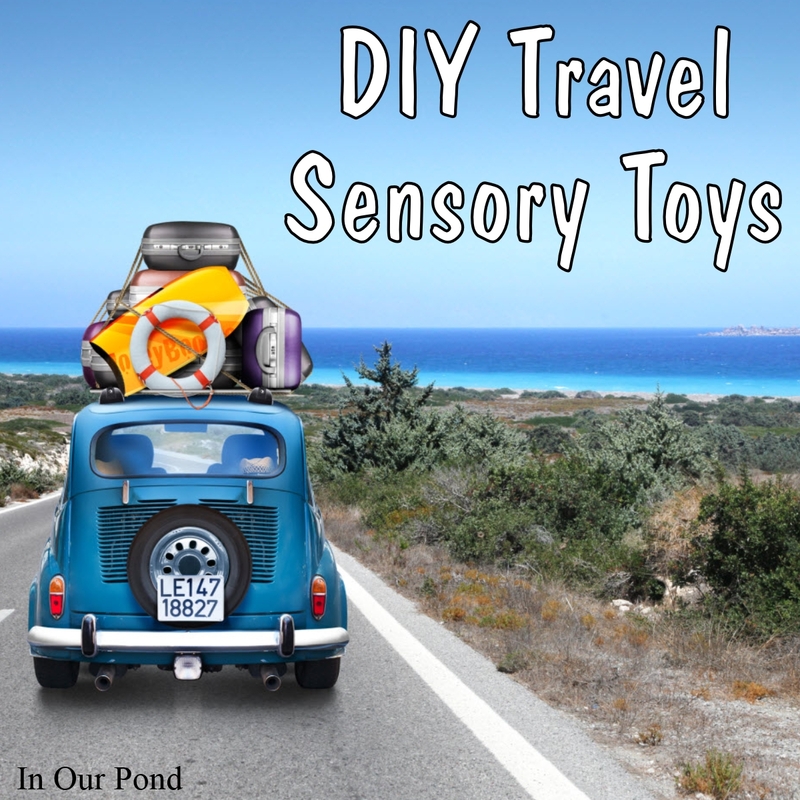 Here are a bunch of DIY take-them-with-you sensory toy ideas for your vacation. 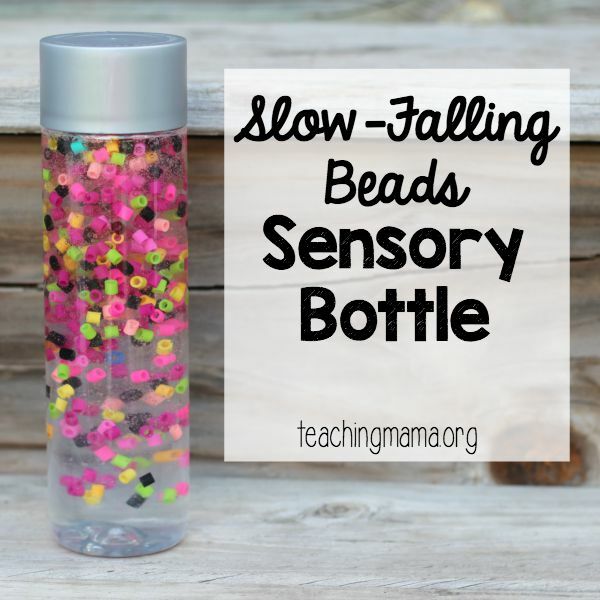 Sensory bottles are great for sensory-seekers, because it provides visual (watching the rice), auditory (gentle shaking), and proprioception (weight of bottle) stimulation. 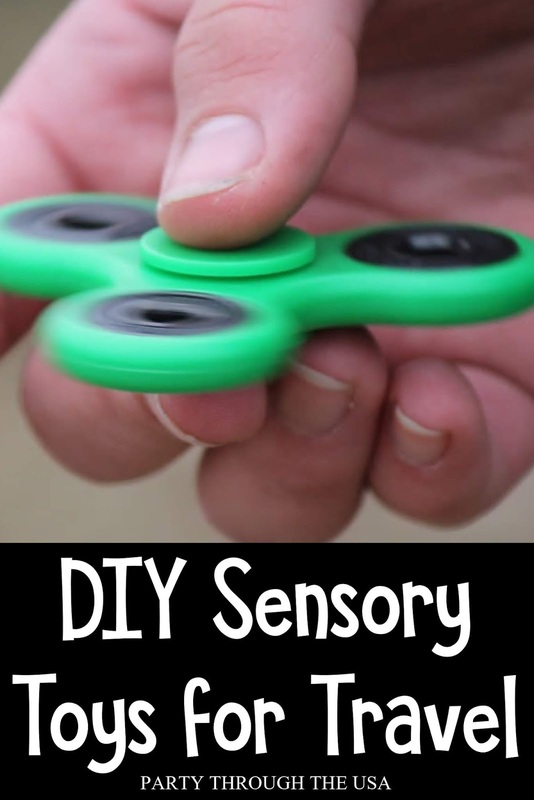 It's good for sensory-avoiders by providing something calming to focus on in times of over-stimulation. 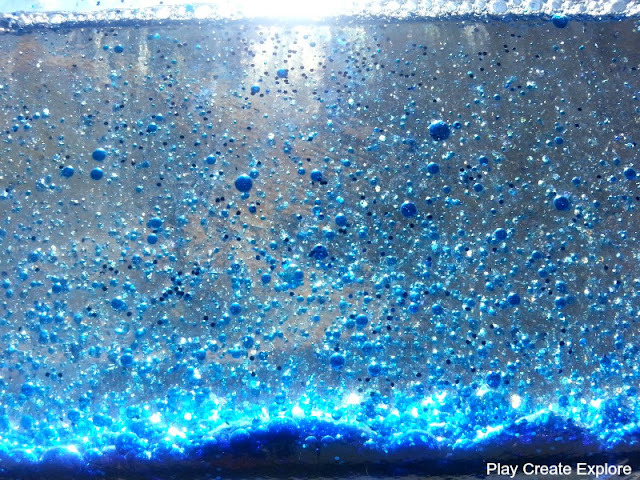 The i-spy activity is also educational, as kids seek out letters, numbers, explore scientific principles (like oil and water), and practice patience. 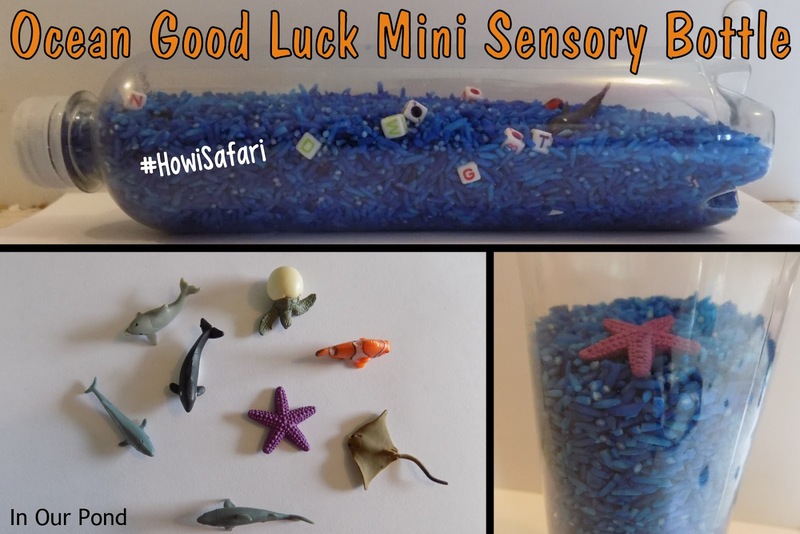 This bottle was made with Safari Ltd's Good Luck Mini Ocean Pack, which we received as part of the company's #HowiSafari Campaign. The kids really love the feel of the minis, and were disappointed that I didn't let them play with the toys in that way (we have other good luck minis for squishing). However, they loved the sensory bottle, and it was perfect for the road trip. 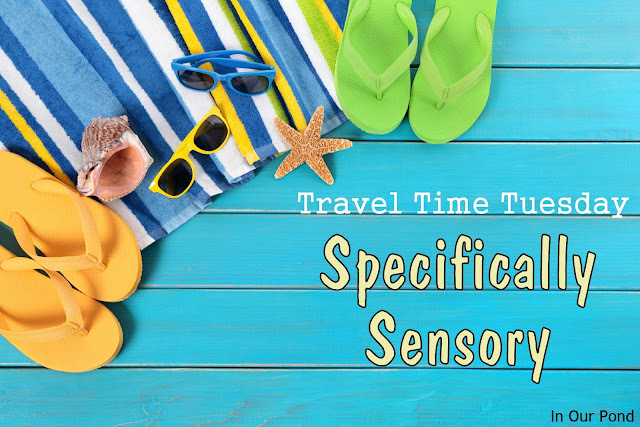 We saw whales, sharks, and starfish on our beach vacation, which made the sensory bottle a good learning tool and souvenir of the trip. 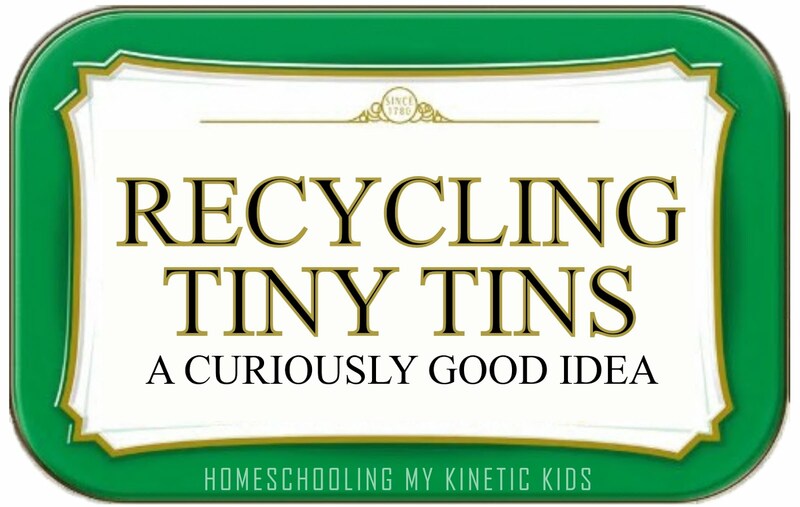 Of course, I super-glued the lid on before giving it to them. 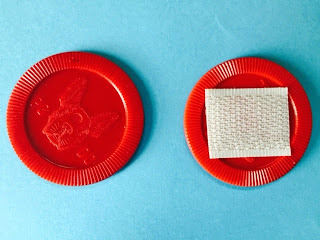 For this activity, I cut a hole in a small round container with a lid. 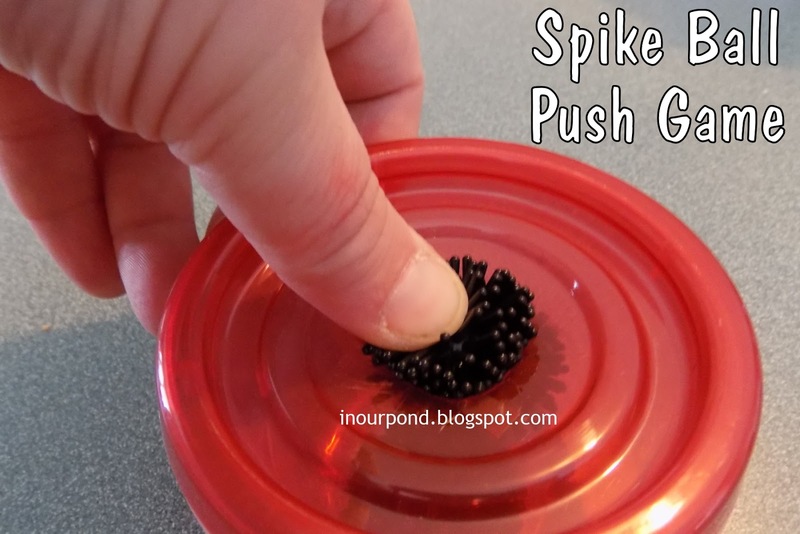 The kids can poke the porcupine balls into the hole and run the balls through their fingers. I even saved some extras for myself to fidget with in the car. 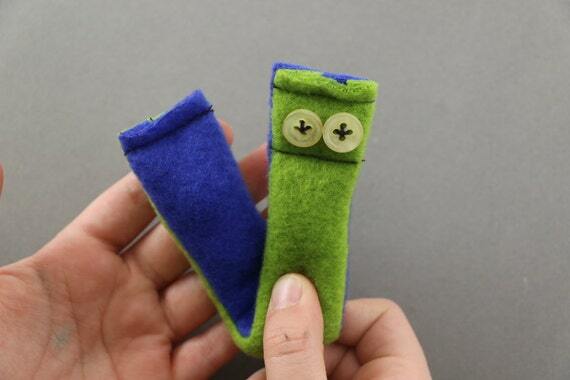 These poking tubes come from a mom, Jessica LaPorte, whose daughter loves to poke her finger in small places. 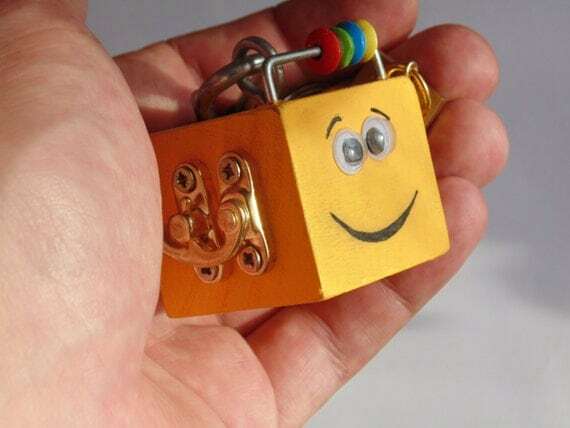 She and I brainstormed on Facebook to make something that her daughter could have with her at all times. 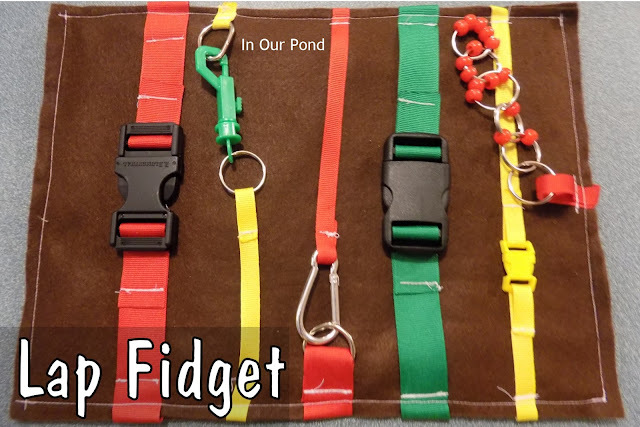 Jessica bought some 1/2 inch PVC pipes at the hardware store, drilled small holes in the walls for the key rings, and attached them to a breakaway landyard. To make the tubes fun, Jessica wrapped them in washi tape that she had around the house. 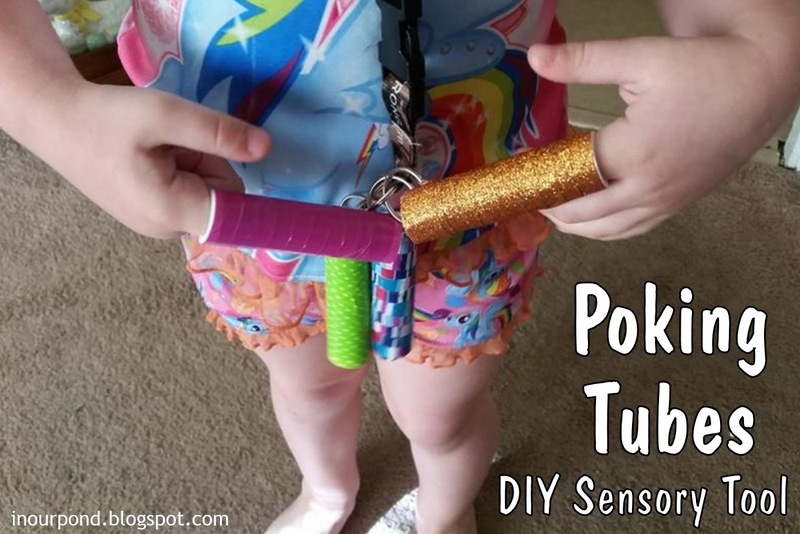 Her daughter's favorite tube is the one with glitter tape on it because it has an interesting texture. 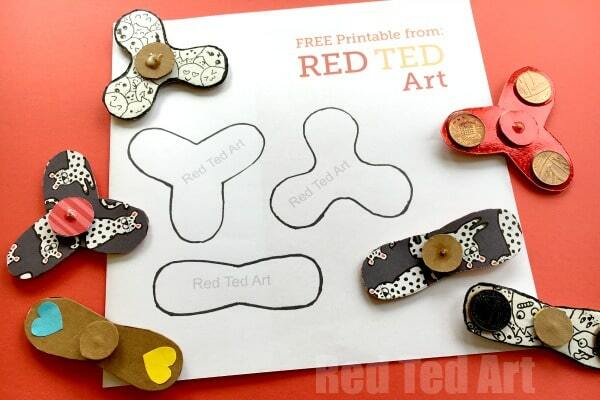 Other textures could be make with rough stick-on velcro, felt (which also comes with a sticker back), sandpaper, or fabric. I love what Jessica did, and I especially love how she created something that home to help regulate her child anywhere they go. I ran across this idea on the the internet and knew that I had to make them for myself. I really needed something to do with my hands while I was in the car or waiting somewhere. The Fiddle Key Chain is simply five metal key rings with pony beads on them, all connected together. 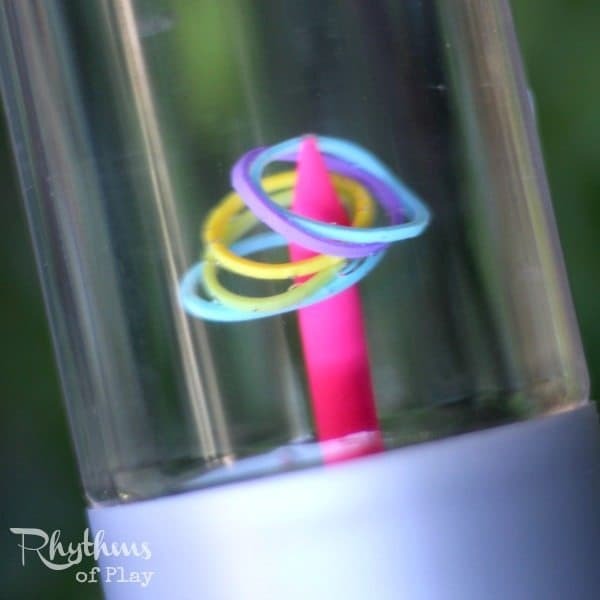 My 5 year old decided that she loved them and needed one in pink, so I made one and attached it to her water bottle. I'm hoping that by hanging it off the water bottle, it will make it harder to lose and encourage her to drink more. 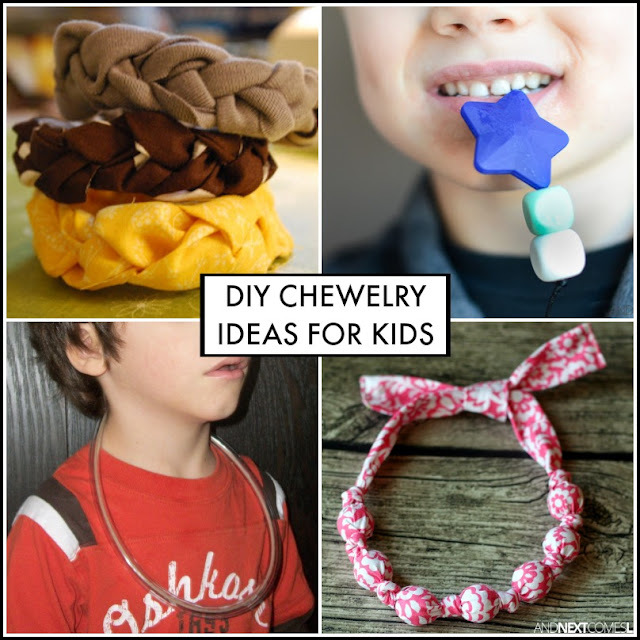 I make a similar ones for my oral-seeking boy, with food-safe plastic tubing instead of beads. They're neat as a sensory toy, but I also like them as a water bottle ID tag, especially in places where lots of people will have bottles lying around. 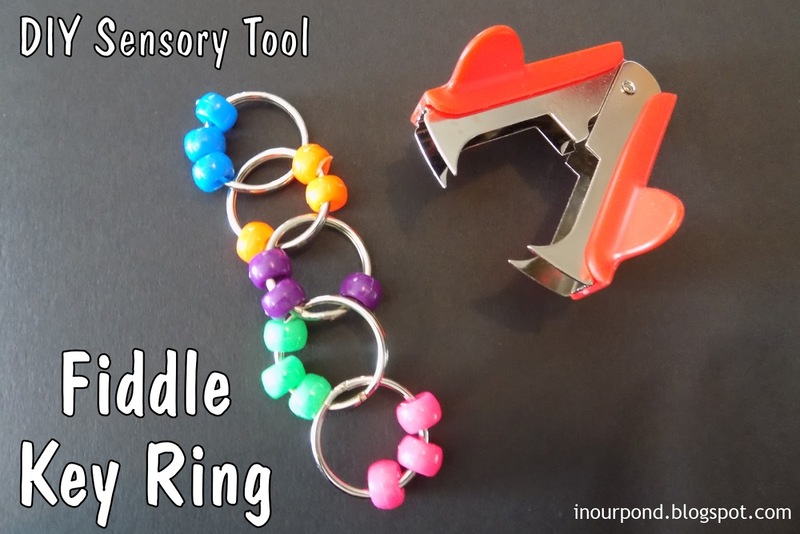 To save my fingernails while working with all those key rings, I used a staple remover. It made the whole project a lot less stressful and a lot faster. I've been wanting to make this activity for a long time. It looks so simple to make but the weight of it made it very challenging. I used various buckles and fasteners from my stash and a bunch of different sized ribbons. I put a piece of plastic canvas in between the layers of felt to give the activity board some structure. The kids enjoyed this one on our recent road trip as well. My Specifically Sensory blog post from last year's road trip is also helpful this year. We brought a lot of the same things with us this year too. Please consider supporting this blog by shopping the Amazon link below.